Leverage your HIT to advance your electronic clinical quality improvement activities. Find all of our eCQI resources as well as information about the benefits of eCQI and our methodology. Find all the HIPAA Privacy and Security resources you may need to help ensure your facility is HIPAA compliant. As the Regional Health Improvement Collaborative (RHIC), Mountain-Pacific is helping to facilitate the antimicrobial stewardship effort in Montana. The Montana Antimicrobial Stewardship (ABS) Collaborative is a group effort to create a statewide Antimicrobial Stewardship Program (ASP) implementation plan. 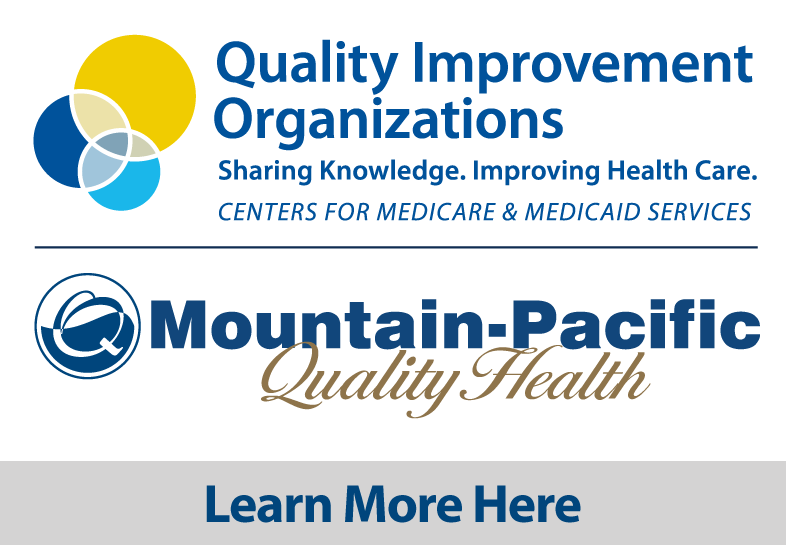 Our goal is to; collaborate, assist and offer resources, expertise and tools available through the multiple programs into a combined state wide ASP implementation plan for use by MT inpatient and outpatient facilities. Services that combine clinical best practices, the use of health information technology (HIT) and electronic data. We can help you with PI, MIPS, CPC+, eCQI and the right HIPAA Privacy & Security solution.